Biography: Alexander Rodchenko was a revolutionary artist, both politically and aesthetically. As a decorator, furniture and theater designer, printer, painter, sculptor, and photographer, he worked with a wide variety of media. He was also an art theorist and educator and began teaching at the VKhUTEMAS (Higher State Art-Technical Studios) in Moscow in 1920. 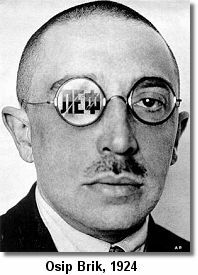 Best known as a Russian Constructivist artist, in 1921 he co-wrote the Constructivists' manifesto. Among other things, it advocated the use of machine-made materials such as wire, glass, and sheet metal in the creation of socially useful art for a society in the midst of revolution. Restropective Exhibit at the Museum of Modern Art.